Seth Rogen objected to re-editing The Interview movie, about an assassination attempt on Kim Jong-un, just “to make North Koreans happy”. Sony Pictures Entertainment co-chairman Amy Pascal wrote to Seth Rogen to ask him to tone down a scene in which the North Korean leader is blown up. Amy Pascal said the request came from Kazuo Hirai, chairman of Sony Corporation. The exchange was revealed in leaked emails in the wake of a massive cyber attack on Sony Pictures. Seth Rogen – who wrote and directed The Interview – refused to meet all of the demands made by Kazuo Hirai. “This is now a story of Americans changing their movie to make North Koreans happy,” he wrote, in an email dated August 15. 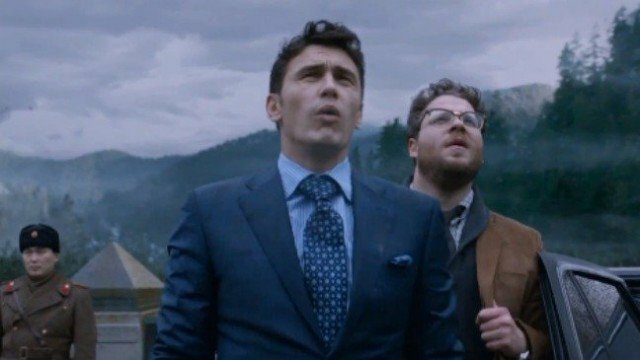 The Interview – due to be released on Christmas Day in the US – sees Seth Rogen and James Franco play two reporters who are granted an audience with Kim Jong-un. The CIA then enlists the pair to assassinate him. In June this year, North Korea described the film as an act of war and an “undisguised sponsoring of terrorism”, and called on the US and the UN to block it. Amy Pascal wrote to Seth Rogen relaying concerns raised by Kazuo Hirai about a key shot in the film which depicts Kim Jong-un struck by a tank shell, causing his head to explode. “This isn’t some flunky. It’s the chairman of the entire Sony Corporation who I am dealing (with),” she said, referring to Kazuo Hirai’s position as the head of the studio’s parent company. She stressed she was keen to ensure that the Japanese company would not be placed “in a bad situation”, in terms of its political relations with North Korea. In an email to Kazuo Hirai, Amy Pascal notes that she has encountered considerable “resistance from the filmmakers”. A final email in October, from Seth Rogen, confirms that his latest edit had “removed the fire from the hair and the entire secondary wave of head chunks”. “Please tell us this is over now,” he adds. Details of the emails were reported by Bloomberg News. Representatives for Seth Rogen declined to comment. Sony Pictures announced this week that the stars will be giving no interviews at the Hollywood premiere of The Interview. The California-based studio’s computer system went down last week and hackers then published a number of as-yet unreleased films on online download sites. The Interview was not among them. A slew of emails, including embarrassing exchanges about some of Hollywood’s biggest stars, have also been leaked. North Korea has denied it was directly involved in the hacking but praised the attack itself as a “righteous deed”.